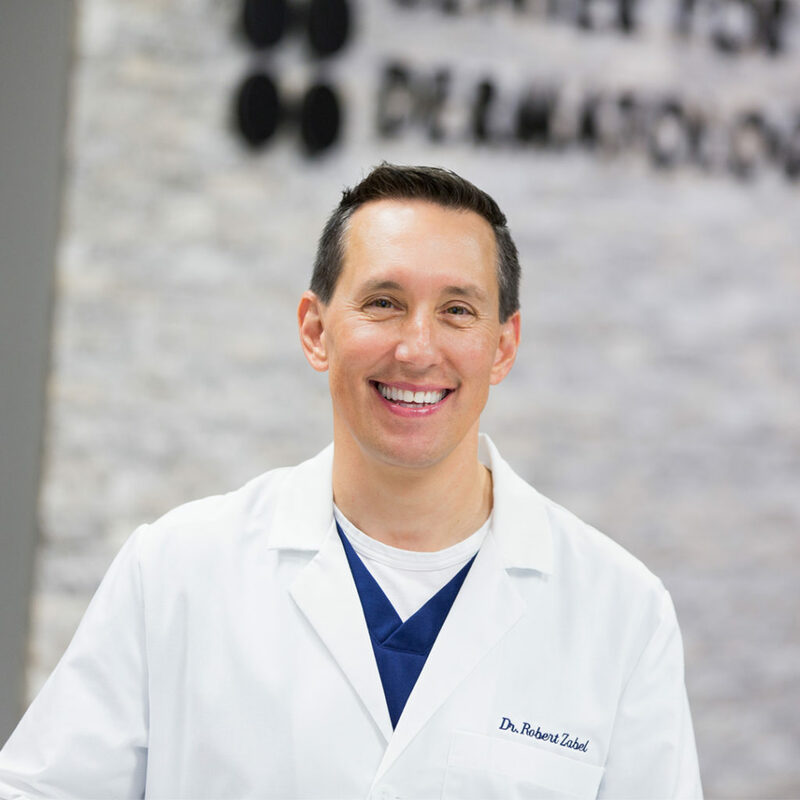 Dr. Zabel is a Minnesota native and a graduate of White Bear Lake High School. After graduating from St. John’s University with a Bachelor of Science Degree in Biology, he attended the Kirksville College of Osteopathic Medicine, graduating 2nd in his class of 158 students. Dr. Zabel completed his internship and internal medicine residency in the United States Army at William Beaumont Army Medical Center. He also served as chief medical resident and chief of the internal medicine clinic while at William Beaumont Army Medical Center. He completed his dermatology residency at the Philadelphia College of Osteopathic Medicine and Lehigh Valley Hospital, where he served as chief dermatology resident. 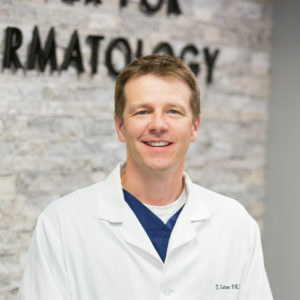 Dr. Zabel is a board-certified dermatologist, certified in dermatology by the American Osteopathic Board of Dermatology. He is a fellow of the American Osteopathic College of Dermatology, a fellow of the American Academy of Dermatology, and a member of the American Society for Mohs Surgery. He resides in Lakeville with his wife and two children. He enjoys sports, exercise, snowmobiling, and travel. Joanne is a Minnesota native and a graduate of Willmar High School. She graduated from the College of Saint Benedict with a Bachelor of Arts Degree in German and International Studies. After gaining experience in international business, she decided to make a career change and graduated from Augsburg College as a Physician Assistant. She has more than 8 years of dermatology experience and is board certified as a PA-C.
Joanne is a true people person. She thoroughly enjoys getting to know her patients by openly listening to their concerns and desired outcomes. She takes time at each visit to provide education and make sure her patients understand their condition, treatment, and necessary follow up. She resides in Bloomington with her husband and two children. In her free time, she spends time with her family and enjoys exercise, reading, and traveling. Terry is a Minnesota native and a graduate of the University of Wisconsin-LaCrosse as a Physician Assistant. He has more than 15 years of healthcare experience and is a board certified PA-C. While he enjoys spending much of his time treating patients in urgent care, he is excited to also care for patients in a clinical setting, where he can meet you, treat you, and build a long-standing patient-provider relationship. He resides in Farmington with his wife and 4 children. In his free time, he enjoys exercise, teaching, and coaching youth sports. Barbara joined Center for Dermatology in August of 2017. 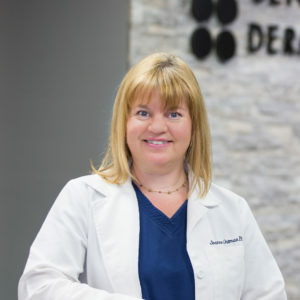 After obtaining her Medical Aesthetics degree from Saint Paul College in 2001, Barbara pursued a background in Business Management from Hennepin Technical College. She has done editorial freelance makeup artistry work for the Rake Magazine and City Pages as well as volunteered for the American Cancer Society’s Look Good Feel Better program. In addition, Barbara has received her certification in Advanced Aesthetic Laser from The National Institute of Medical Aesthetics in Utah. Barbara brings over 17 years industry experience to Center for Dermatology’s MedSpa. 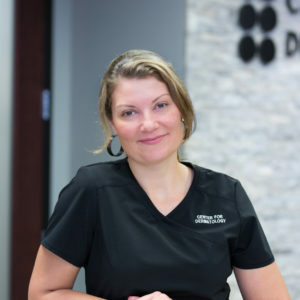 She uses her knowledge and skills to give her clients the highest quality of care, a positive experience, and—most importantly—the desired results. She has extensive training in all areas of aesthetics, specializing in medical grade products and services. In past years, Barbara struggled with her own skin issues and understands how this can impact daily life. Barbara’s passion is to help each client look and feel their best.